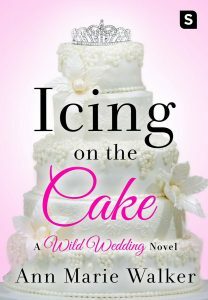 Notting Hill meets The Prince & Me in Icing on the Cake, the second standalone laugh-out-loud romance in Ann Marie Walker’s Wild Wedding series. This is the second book in Ann Marie Walker’s Wild Wedding series. I was very excited about this one because it had one of my favorite things, a modern-day prince. The inspiration behind Henry aka Hank is of course Prince Harry, and I can totally get behind that any day. What I love about this book is how much I laughed. There were so many scenes that had me smiling and getting that giddy feeling. My favorite scenes though were during the treasure hunt. Yes, there is a treasure hunt. I won’t give anything away but it’s one of my favorite things in a romance novel so far this year. Don’t hesitate to pick this one up. It’s the perfect romantic comedy.